Once you have received your saliva collection kit, you will need to register the barcode located on your saliva collection tube so we can connect that tube to you and process your sample. In order to register, you will need to either create a new account or log in to an existing 23andMe account. Keep in mind that an account is not created when an order is placed. Logging into an existing account. To create a 23andMe account, go to https://www.23andme.com/start. Here you will enter your name and the email address you want your account to be under; be sure that the email address you choose can send and receive emails. You will also be asked for your birth date (remember that the account owner must be over 18) and required to set an account password. Next, you will be asked to confirm your email address. The confirmation email should appear in your email account within a few minutes, but can take up to 24 hours (depending on your service provider) or might be in your trash or spam folders. Once you have located this email, follow the instructions to confirm your email address and activate your account. Once you have confirmed your account email address, you will need to enter your kit’s barcode and complete registration. You will directed back to a page where you can enter your kit’s 14 digit barcode number (you can enter it with or without the dashes). If you left 23andMe after confirming your account but before you completed the registration process, just navigate back to https://www.23andme.com/start and select the Sign In link instead and enter your account’s credentials. Click the Sign In link and enter your account email address and password. If you forgot your password, you can reset it here. Why do I have to register my kit barcode? If I purchased through the 23andMe online store, do I still need to register my kit barcode? I received 23andMe as a gift, how do I get started? Can I share an account with a family member? Can I give a kit to someone other than the person I listed when the kit was purchased? Registering the barcode located on your saliva collection tube allows us to connect that tube to you and your account. Without the registration process, we wouldn’t know who provided the sample or which account to display the results in. For these reasons, we are unable to process unregistered samples. Yes. Registering the barcode located on your saliva collection tube allows us to connect that tube to you and your account. Without the registration process, we wouldn’t know who provided the sample or which account to display the results in. For these reasons, we are unable to process unregistered samples. If you already have a 23andMe account, use the Sign In link during the registration process and enter your account’s email address and password. If you are new to 23andMe, you can create an account at the beginning of the registration process by filling out the required fields. We have designed our service to give customers control over how much information they share. That includes giving our customers the prerogative to use a pseudonym when connecting with other 23andMe customers, if they wish. But no matter how you choose to identify yourself in our online community, our Terms of Service require that you provide true and accurate registration information and submit either your own saliva or that of a person from whom you have authorization. What this means is when you register your kit, you must use your real name. Once your kit has been registered, you may change your online profile name to any name you wish to use from within your account settings. Once your sample reaches the laboratory, it is identified by the unique anonymous barcode printed directly on the sample tube. Your ordering information (shipping address, credit card information, etc.) is stored separately from your genetic data, and connecting the two would require breaching several layers of security. Learn more about 23andMe Privacy. Yes - you can share an account with a family member. However before registering multiple kits under the same email address, please review the Account Options for Families help article which outlines some considerations between establishing a shared or separate accounts for family members, and instructions on how to register multiple kits to the same account. Should you decide to share a single account, only one profile will be visible at a time. You will need to navigate between the multiple profiles in order to see each profile’s information. Review the Account Options for Families help article. Yes - you can give an unregistered collection tube to someone else. It is only during the registration process that a collection tube is connected with a specific person. The new recipient can start the registration process by navigating to: https://www.23andme.com/start. If the collection tube has been registered or the new recipient is receiving a “This barcode has already been used” error message during registration, please contact us from the registered email address and we will outline the available options. It is important to note that replacement kits provided to an individual following a sample failure cannot be transferred to another person. What browser should I use to register a kit? Do I need an email address and a computer in order to register a kit? Where can I find my kit barcode? I already mailed my sample without registering, what should I do now? The 23andMe website supports the latest versions of Chrome, Safari, and Firefox. We recommend using the most up-to-date browser version available. If the system that you use does not support an upgrade to the latest version of your preferred browser, we recommend downloading Chrome for the best site experience. Please ensure that you are using one of the supported configurations above. Keep in mind that some extensions or add-ons may compromise compatibility with our site. Make sure your browser is up-to-date. If you are using a mobile device, try a desktop computer. Contact us if the issue persists across multiple browsers or devices. Yes - you will need to have a valid email address from which you can send and receive messages, and access to a computer or mobile device that connects to the internet in order to register your kit and receive the service. 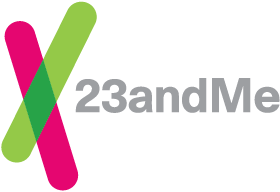 Please note that the information available to you from the 23andMe Service will be presented in the context of our web-based reports and features accessible through your account online. Within your online 23andMe account, you will have the ability to print individual reports or a summary of all your results. However, 23andMe is exclusively an online service, and we do not provide a printed or printable report via mail or email. Where can I find my barcode? If you purchased through the online 23andMe store and mailed your sample before completing the registration process, you will be able to register your sample once it arrives at the lab. When your sample is received at the lab, an email titled "Action Required" will be sent to the email address provided when your order was placed. This email will contain the barcode from your collection tube, which you can then use to register online. Processing will not begin until registration is completed. I already mailed back my sample, what do I do now? Where do I register my kit barcode? How do I add another kit to my account? I’m not sure if I already have an account. I mistyped my email address when I created my account. I didn’t receive the email address confirmation message. I already confirmed my email address/account, how do I continue registration? I’m not sure I registered my kit barcode. How do I confirm that I registered my kit barcode? I registered multiple kits to my account, but we want separate accounts. How can I transfer a profile out of my account? How do I unregister a kit from my account? Where do I go to begin registration? How do add another kit to my account? If you are participating with family or other members of your household, make sure that you each register the barcode that corresponds to the kit you use to provide your sample. Registering kits correctly will help avoid delays and issues with returning your reports. You have the option to register kits into a single account under a single email address and password, or to have individual accounts. We encourage you to review these important considerations before registering multiple family members to a single account. To begin registration of an additional kit, navigate to https://www.23andme.com/start and select the Sign In option at the bottom. After entering the kit barcode, you will be prompted to select whether you or someone else will be using the kit in question. In most instances, the individual registering should select "I will be using this kit." You should only select the other option if you will be registering on behalf of someone else, such as a child under 13 who cannot have his or her own account. Once you have registered profiles into a shared account, you will be able to navigate between profiles by selecting the profile name in the upper right corner and then clicking the desired profile from the list. Note that for accounts with more than 3 profiles, you will first need to select Switch Profiles from the dropdown menu. A 23andMe account is not created when you place an order. If you are unsure whether or not you have an account because you placed an order with 23andMe, it is unlikely that you already have an account. We suggest filling out the fields under Register Your Kit. If you try to sign up with the email address of an existing account, you will receive an email titled “Account Creation Attempt Made” which indicates that an account already exists. You will have the option of resetting your password by following the prompts in the email. Instead of creating a new account, you will need to click Sign In located below the Register Your Kit box. Here you will enter your email address and password to login. You will then be able to register your kit. If you contribute or otherwise provide your own Genetic Information, you must be eighteen (18) years of age or older to agree to the Terms of Service on behalf of yourself or those for whom you have legal authority to agree. When creating the account, make sure the owner of the account is over 18 years old. You may have already completed the registration process for this kit. To confirm, either search your email for the registration confirmation message, or sign in to your 23andMe account and look for the sample status timeline on the homepage. If your kit is registered, your sample status will reflect your kit's progress; if you have not yet registered, click the Start Registration button to begin. You can enter the barcode either with or without the dashes. If you are entering the barcode accurately and still receive an "Invalid barcode" message, please contact Customer Care and include your barcode. If you requested a refund or replacement for a kit that you ended up receiving, the barcode may have been invalidated. Kits expire 12 months from the date of purchase and will need to be replaced. Contact Customer Care to request a free replacement. Make sure to include the kit barcode in your message. If you are receiving a site error, please contact us; be sure to include details about the site error and if possible, a screenshot. If you mistyped your email address when creating your account, simply go through the creation process again using the correct email address. You can let our Customer Care Team know about the incorrect email address by contacting us. Check your spam and trash folders for emails from donotreply@23andme.com. Check your email later. There may be a delay in sending or receiving this email. Typically customers will receive the email within a few minutes but in some cases it may take up to 24 hours. Check the spelling of the email address you provided, and make sure that the email address is able to send and receive emails. Send an email to donotreply@23andme.com and contact us to resend the confirmation email. I already confirmed my account, how do I continue registration? If you navigate away from 23andMe after confirming your account email address, you can continue registering using the Sign In link. If you still have your kit and barcode, enter the barcode on the barcode entry page. If you are not already logged in to your account, you will need to enter your email address and password before entering your kit barcode. If the kit is registered, you will see a message that "this barcode has already been used." If you do not have your kit, sign in to your 23andMe account and look for the sample status timeline on the homepage. If your kit is registered, your sample status will reflect your kit's progress; if you have not yet registered, click the Start Registration button to begin. Did you receive a replacement kit after a sample failure? Replacement kits are already registered to your account. If you submit a replacement kit barcode, you will see a notice that the kit has already been registered. How do I confirm that I completed registration? Once you have completed the registration process, you will receive an email confirming that your kit was registered. After registration, you can provide your sample and track the status of your kit from your profile homepage. I registered multiple kits to my account, but we want separate accounts? How can I transfer a profile out of my account? We can help - contact us from the email address of the account where the kits are currently registered. 23andMe takes seriously the trust you place in us. We invite you to view our Terms of Service, Privacy Center, Privacy Statement, and the Privacy section of our Help Center. You will be prompted to review and agree to the Consent to the Use and Transfer of Sensitive Information document. By agreeing, you consent to allow 23andMe and its contracted laboratory to process and analyze your saliva sample and Genetic Information and provide you with results through the Personal Genetic Service. 23andMe gives you the opportunity to participate in research that could improve understanding of how genetics influences our lives. During registration, you will be asked to make a research consent selection. Self-Reported Information includes any information you submitted prior to giving consent. If you have elected to have your saliva sample stored, we may also use the results of further analysis of your sample in 23andMe Research. Your Genetic & Self-Reported Information does not include identifying Registration Information you provided when you purchased the Personal Genetic Service or created an account (such as name, address, email address, user ID, password, or credit card information). During registration, you will be asked whether or not you would like to store your saliva sample. By electing to store your saliva sample, you are granting 23andMe and its contractors consent to access and analyze your stored sample. Learn more. You will have the option to discard your sample at any time after your sample has been processed. However, if you select the option to discard your sample during registration, you cannot change your storage selection. How do I request a replacement kit? Are replacement kits automatically registered? My first sample failed analysis, do I need to register my second kit? Contact us for assistance; be sure to include the kit's barcode. If an unregistered kit is replaced, then the new kit will also be unregistered. The kit will need to be registered in order to receive the 23andMe Personal Genetic Service. If a registered kit is replaced, then the new kit will already be registered and you will not need to go through the registration process. If you are unsure whether or not the kit is registered, you can enter the barcode during the registration process. If you receive the message “This barcode has already been used”, then the kit has been registered, otherwise you will be prompted to complete registration. No, replacement kits as a result of a failed sample analysis are automatically registered. You will not need to complete the registration process again. How can I register if I already returned my kit?